With the selected consultants RMCG engaged, they also have the services of a number of specialist companies to assist. Those being Communityvibe, Spire Consulting Group, Trafficworks P/L, and Biosis. 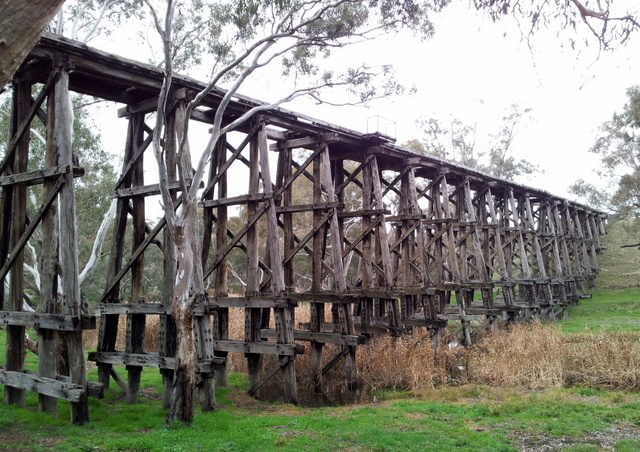 The Steering Committee’s representation comes from the Mitchell Shire Council, the City of Greater Bendigo Council, Department of Environment, Land, Water and Planning (DELWP), with community involvement from the Mitchell Bicycle User Group and the Friends of the Bendigo-Kilmore Rail Trail. As the study progresses, engagement with landowners and communities will take place to inform, seek an understanding of and take into account the various land ownership and use changes that have occurred since the former railway was recovered. The study is also required to highlight engineering, associated road traffic, heritage and environmental matters that would need to be taken into account when considering this trail proposal. The study will conduct a full investigation of all related aspects for this proposed trail, plus indentify options that may create a network of linked trails in central and eastern areas of regional Victoria as well as linking with the Melbourne metropolitan trail network. A final report is expected later in 2016.